X-rays are absorbed by the Earth's atmosphere, so Arcus requires a space mission. It will be ready to launch in September 2023. The science operations requirements will be met in 2 years, and if there is sufficient funding, a Guest Observer Facility will be opened to allow access to the entire scientific community. The spacecraft will be produced by Northrop Grumman Innovative Systems, which has a long and distinguished history of providing spacecraft platforms for science missions. 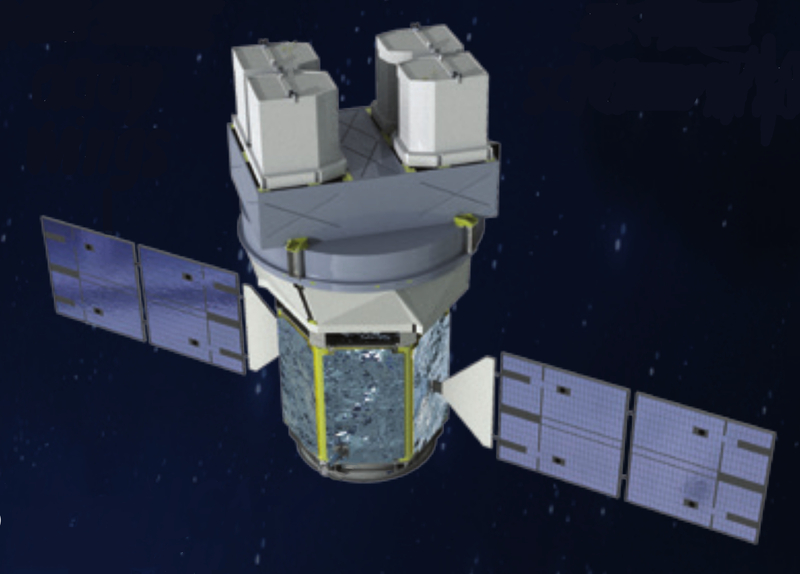 Arcus will use the LEOStar-2 platform, a versatile, robust, high-quality platform that is particularly well-suited to missions of Arcus's class; in fact, NuSTAR, OCO-2, ICESat-2, and TESS all use this as their spacecraft. 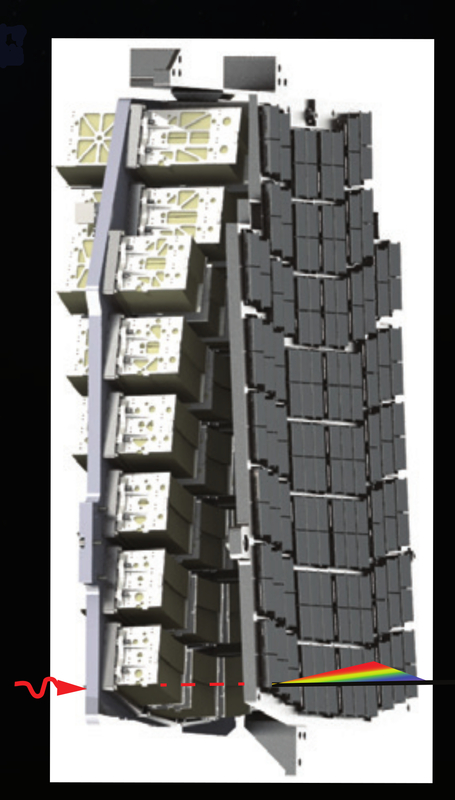 Similar to TESS, this platform will be designed for high-Earth orbit, with solar arrays that are capable of withstanding long eclipses, simple thermal design, and propulsion systems that are proven by other missions. Further, the platform is 3-axis stabilized with fine-balanced wheels and no actuations during science observations, thus providing a low-jitter base for the instrument. Arcus will use a highly-elliptical insertion orbit with phasing loops through lunar swingby to achieve its final high-Earth science orbit. 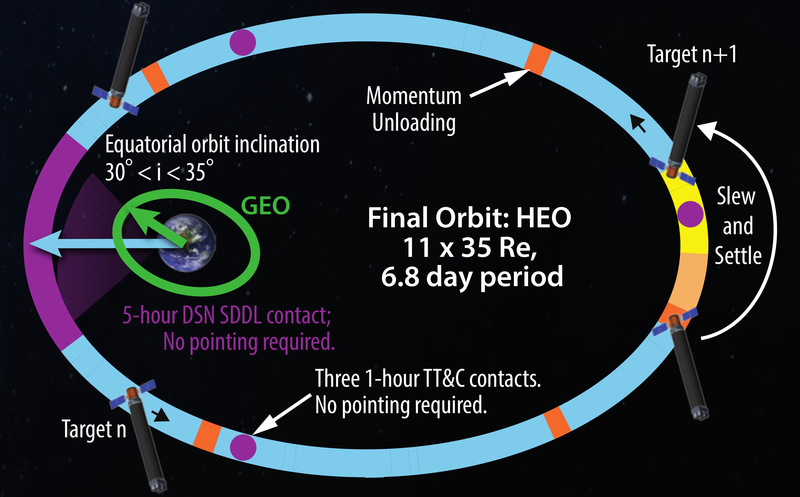 This orbit was selected because it will provide a thermally stable environment and benign disturbance torques, yielding continuous, efficient (efficiency > 90%) science operations. Figure 1. Top left: The science orbit is a high-Earth orbit similar to that of TESS. It provides thermal stability and low disturbance torques, allowing easy, efficient operations. Bottom left: The instrument and spacecraft after the solar panels have been deployed and with the boom still in the stowed configuration. 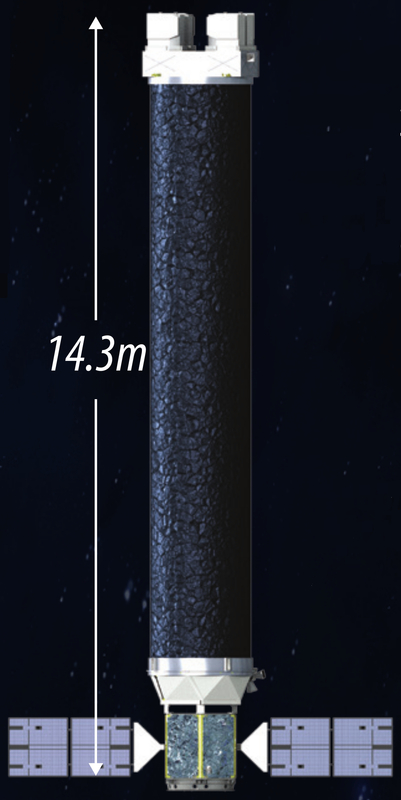 Right: The instrument and spacecraft when the boom has been deployed. Arcus's instrumentation flows directly from the requirements imposed by the science goals, and was designed to be highly modular and redundant. It will use well-tested, solid technology. It has four identical, independent optical channels that feed into two identical focal planes, thus optimizing manufacturing, assembly, and testing. 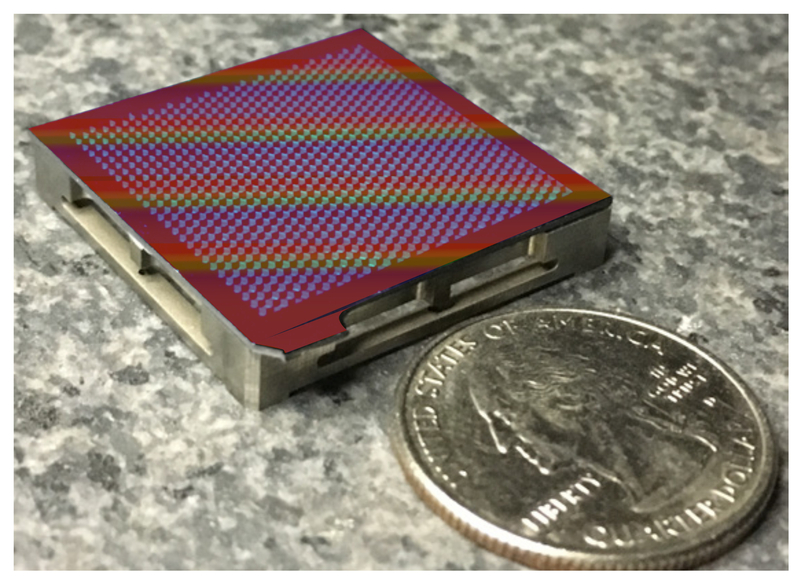 Each optical channel is composed of 34 co-aligned silicon pore optics mirror modules, each of which focuses their collected X-rays through the Critical Angle Transmission grating windows (see Figure 2, right). The gratings disperse the X-rays through a 12 meter boom onto two independent Detector Arrays (DA). Costs are minimized and robustness is increased by borrowing and adapting techonologies from other missions. For instance, the DA electronics are based on those from Suzaku and TESS, and the boom is derived from the GEMS boom development, which was finished prior to that mission's cancelation (see Figure 2, top left). Costs are kept even further in check -- and the production time is reduced -- by the roboticized, production line fabrication of the optics modules. The gratings have already completed environmental testing with pre- and post-X-ray performance testing. The individual grating windows have been tested and are ready for use with Arcus, as seen in Figure 2 (bottom left). Figure 2. Top left: The instrument control unit for the detectors, which is built by Southwest Research Institute and borrows heavily from other missions, including Swift and Suzaku. Bottom left: The grating with mount. Right: An assembled optical channel, with mirrors (left) and gratings (right). The path of an X-ray striking the mirror and being diffracted by the grating is also shown.